HELAINE BECKER is an award-winning writer of books for children. She has written over 80 books, including Worms for Breakfast and the best-selling picture book A Porcupine in a Pine Tree. Helaine lives in Toronto, Ontario, where she tends to move either way too fast (cheetah!) or not at all (sloth). ORBIE is a children’s book illustrator, graphic novel creator, and illustrator for newspapers, posters, and marketing materials who lives Cap d'Espoir, Quebec. She is known for her art surrounding themes of birth and motherhood. 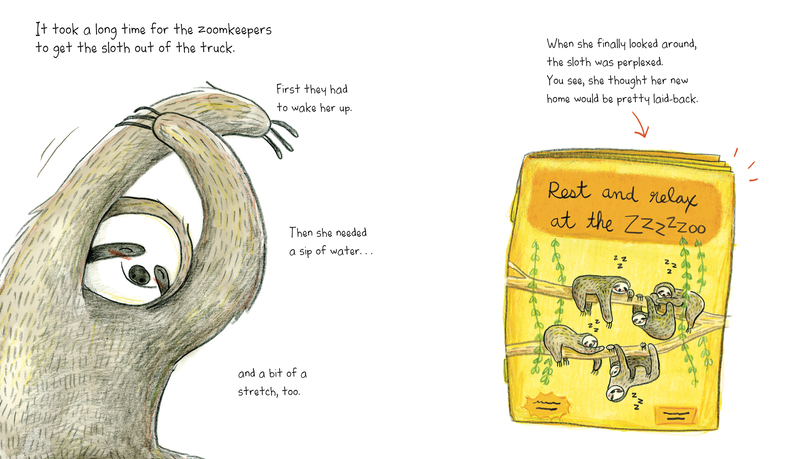 Sloth at the Zoom will be Orbie’s first English language picture book. One day, a sloth accidentally gets delivered to the Zoom! She was supposed to be dropped off at the Zzzzzoo, a much more laid-back, slow-paced place. She had been looking forward to long, languorous naps while the sun gently warmed her belly. 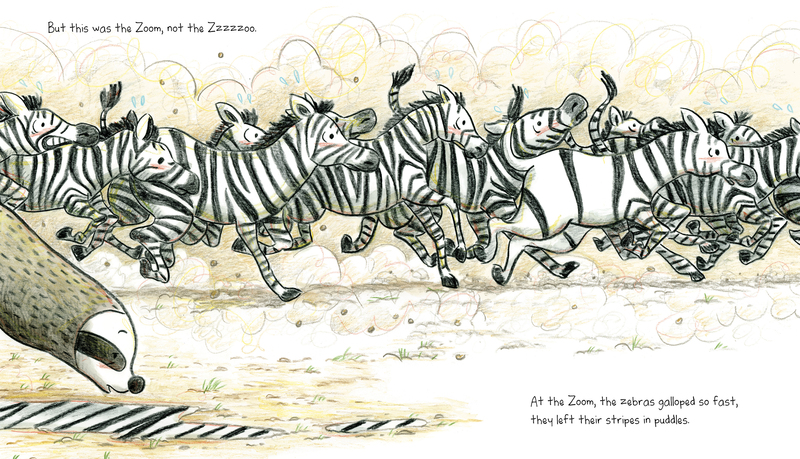 But at the Zoom, the zebras gallop so fast they leave their stripes in puddles. 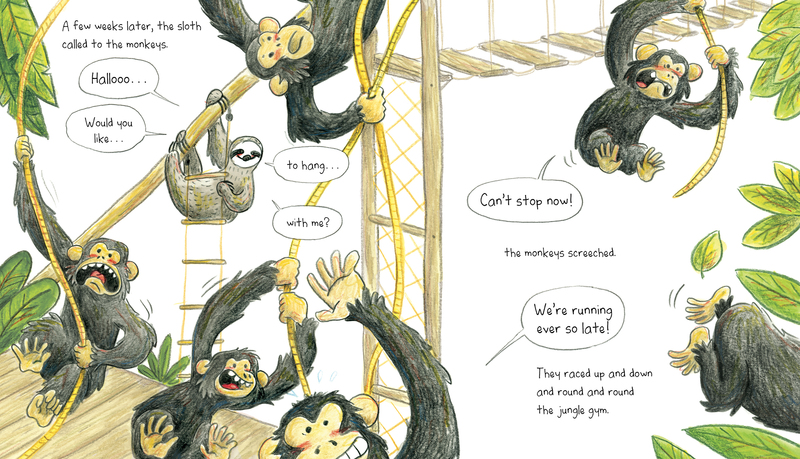 The monkeys climb so fast they forget to stop at the treetops. And the parrots fly so fast their tails draw rainbows across the sky. When the sloth tries to make friends, nobody has any time—until the sloth meets a creature who’s a little more her speed, and everyone stops to notice. This is a surprising, delightful, and funny picture book about slowing down to enjoy the little things and making time for what matters.